Through his refreshing sound that is characterized by complex drum ensembles, daring synths, and emotive chords, Hardwell has created the ultimate recipe for “Big Room House”. His productions are received with such great praise and acclaim; it seems his shelf life is endless. As his reputation grows amongst the world’s partygoers, so does his status. First entering the DJ Mag Top 100 DJs Poll at #24 in 2011, Hardwell rose to #6 in the 2012 edition of the poll, before being crowned World #1 DJ in the 2013 poll – seeing off fierce competition from the likes of Avicii and Armin van Buuren and following in footsteps of electronic icons Tiësto and David Guetta. In October 2013, during Amsterdam Dance Event, Hardwell held the world premiere of his ‘I Am Hardwell’ documentary in Amsterdam’s oldest and most famous cinema, Tuschinski. The documentary provides a captivating inside-look on Hardwell’s rise. With the motto – “If you can dream it, you can do it”. The film is now being shown in selected cinemas around the world. But it is his relationship with his fans which sets him apart from his peers. Through his popular Q&A series on YouTube Hardwell’s personal side is displayed, where he answers the most begging of questions his fans have to offer. As said by Hardwell himself, “With the opportunities of social media today, it’s super easy to be in direct contact with your fans, however it’s impossible to respond to each and everyone through Twitter or Facebook. That’s why I came up with this idea, to give my fans the opportunity to ask me their questions and to have the chance to answer them in a fun and engaging way!” And talking of social media his meteoric rise up into the higher echelons of the dance community has seen his fan base swell in recent months. With over 2.2 million likes on Facebook, more than 900k on Twitter and in excess of 120 million hits on his YouTube channel, Hardwell is also rapidly solidifying his place as one of the electronic scenes most ‘clicked on’ artists. 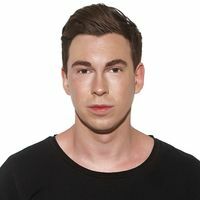 The rise of Hardwell as a young boy from the city of Breda into a ripened international super-heavyweight has become an inspiring tale for all. Coming full circle from a dream to reality of wanting to become the ‘#1 DJ in the World’, we can be assured that the Hardwell name, face, and brand is a force that will drive electronic dance music for years to come….